UPDATE: Check out our Saturday (8/3) and Sunday (8/4) previews too. Swedish satanic pop-metal outfit Ghost B.C. are one of the few “heavy” acts on the Lollapalooza 2013 lineup. They’ll deliver an early-afternoon barrage of riffs on the Bud Light Stage, and their live show is not to be missed. Father John Misty (the project of J. Tillman) welcomed his debut LP under the moniker, called Fear Fun, last year via Sub Pop. FJM isn’t just a name though, it’s a wild persona that comes across clear both recorded and live. His set unfortunately happens at the same time as Jessie Ware’s (3:15PM, Petrillo Stage), but Misty is quite the unpredictable and hilarious entertainer. You want to be there. Much like the Blue Stage at Pitchfork Festival, The Grove is a nice place to hide from the sun. The stage is also a bit smaller than most, but still boasts some huge acts. UK house revivalists Disclosure will play The Grove at 6PM, and you’ll have to arrive pretty early if you want to get somewhat close to the stage. A steady stream of EPs lead up to a great debut LP, called Settle, which charted in many countries around the world. The duo’s stature possibly allowed them to not be placed on Perry’s Stage, the festival’s often-obnoxious dance haven. Along with The Cure (who close out Lolla with a headlining set on Sunday (8/4)), the Peter Hook-less New Order are one of England’s most influential players in the new wave scene. Despite drama with the iconic bassist, New Order are back and still thrilling live. Catch them at 6:15PM on the Red Bull Sound Select Stage. Here lies your major Friday evening conflict: Queens of the Stone Age all the way at the North end of the festival or New Order at the very South. A bit of each set is possible, sure, but you might be too exhausted from the rest of the day to bounce from stage to stage in thick foot traffic. We’ll leave it up to you, but know that QOTSA put out a helluva LP this year, called …Like Clockwork, if you didn’t already. 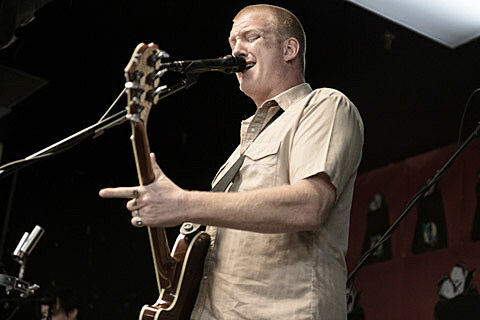 Josh Homme and co. are fairly pummeling live too. Chicago’s own Chance the Rapper exploded onto the international scene this year with the release of his excellent second mixtape, Acid Rap. Chance been touring hard for a couple of years now, and he’s without a doubt got the polished chops to slay the festival circuit. Catch him at 6:50PM at the BMI Stage. On their fourth full-length album, this year’s Pedestrian Verse, Scottish indie rockers Frightened Rabbit continued to prove that they’re progressing nicely. Though they might never pen a more perfect break-up album than 2008’s The Midnight Organ Fight, I think that’s quite alright. They’ll take The Grove Stage at 7:15PM. 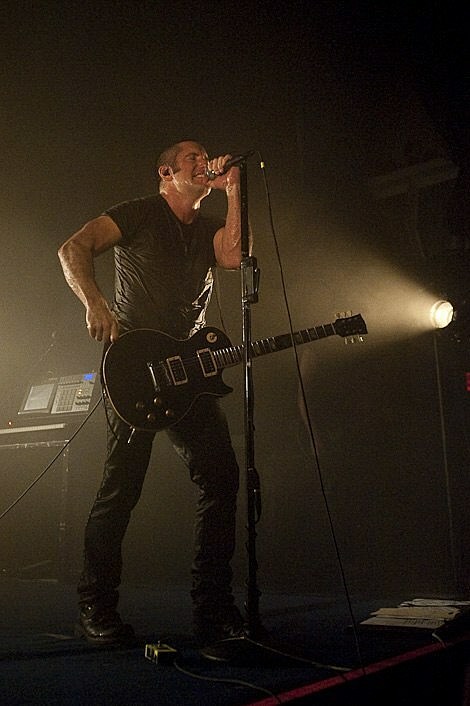 Trent Reznor‘s wildly popular Nine Inch Nails are slated to return with their first full-length album since 2008’s The Slip, titled Hesitation Marks, this September. Hopefully that means they’ll be previewing some new material during their closing set on Friday of Lollapalooza, at 8:15PM on the Bud Light Stage. It’s bound to be a show.